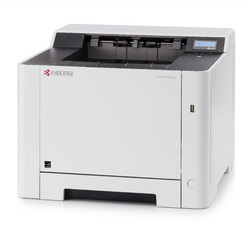 A range of Kyocera A4 Colour printers and Multifunctionals that are perfect for small office or Home office environments. Cost effective, robust and excellent value for money. ECOSYS 21PPM Colour A4 Laser MFP - Network, Print, Copy, Scan, Fax, Duplex, 50-sheet Automtic Document Feeder, 50-sheet multi-purpose tray, 250-sheet universal paper cassette. Starter Toner included. 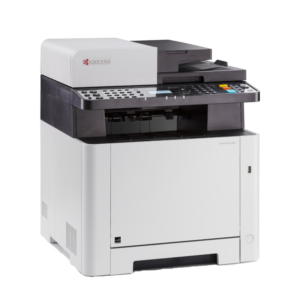 ECOSYS 26PPM Colour A4 Laser MFP - Network, Print, Copy, Scan, Fax, Duplex, 50-sheet Dual Scanning Automatic Document Feeder, 100-sheet multi-purpose tray, 4.3 inch touch screen. Starter Toner included. ECOSYS 26PPM Colour A4 Laser MFP - Network, Wireless, Print, Copy, Scan, Fax, Duplex, 50-sheet Dual Scanning Automatic Document Feeder, 100-sheet multi-purpose tray, 4.3 inch touch screen. Starter Toner included. ECOSYS 21 PPM Colour A4 Laser Printer - Network, Duplex, 500 sheet universal paper cassette. Starter Toner included. ECOSYS 21 PPM Colour A4 Laser Printer - Network, Wireless , Duplex, 500 sheet universal paper cassette. Starter Toner included. 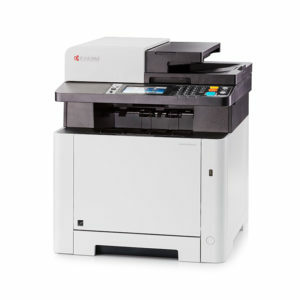 ECOSYS 26 PPM Colour A4 Laser Printer - Network, Duplex, 500 sheet universal paper cassette. Starter Toner included. ECOSYS 26 PPM Colour A4 Laser Printer - Network, Wireless , Duplex, 500 sheet universal paper cassette. Starter Toner included.